From start to finish, Project 86 exhibit the kind of musical fury that echoes the angst of millennial youth. Similar to the music of P.O.D., Drawing Black Lines is a testimony to Christendom while musically driving a fist through traditional Christian thinking. Moral lines are drawn from beginning to end on this disc. On "One-Armed Man (Play On)," the band describes unbelievers as "zombies" who are constantly seeking contentment. At one point in the song, vocalist Andrew Schwab screams that everyone is "needing something real!" A highlight of the tune is the drum groove offered up by Alex Albert. On "Chimes," Steven Dail's hypnotic bassline is a strong accent to Schwab's whispering vocal melody. 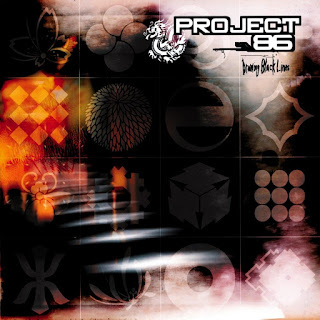 Throughout Drawing Black Lines, Project 86 play heavy, and heavier. Songs like "Me Against Me," "Open Hand," and "Sad Machines" are testament to the band's ferocity. Perhaps the disc's most telling song is its first offering, "Stein's Theme." Amidst a sea of chugging guitars and tempo changes, Andrew Schwab shouts to the world, "You hate us cause we'll never go away/And like some sort of fungus, we're growing everyday." Indeed.